Untouched for more than 50 years, the remodel of this ranch-style house started with major foundation work, leveling the significantly sloped building. Afterwards it underwent a complete remodel in several phases. 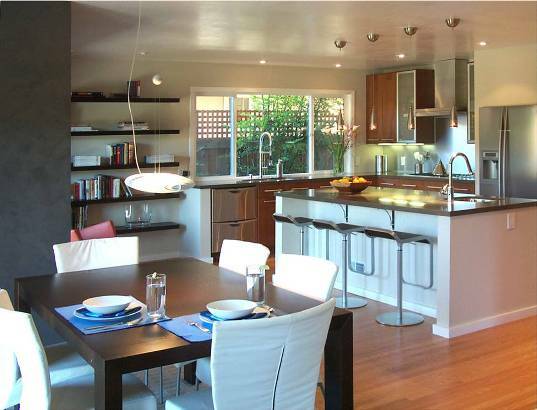 With a cohesive plan from the beginning, the space was gradually transformed into a unified, open, and modern home. By act of subtraction we created a logically flowing space with great connection to the back yard and its creek-side setting.